L'artista Finlandese Tiina Rajakallio per la prima volta a Roma il 10 maggio 2017 , per una mostra/vendita sul gioiello contemporaneo nello spazio myday-byday in Via Luca della Robbia 76 al Testaccio. Tiina Rajakallio is a Finnish jewellery artist. She earned the Master Degree at Konstfack, University College of Arts, Crafts and Design, in Stockholm, Sweden in 2008. The Bachelor Degree she received from South Carelian Polytechnic Lappeenranta, Finland in 2005 studying stone object and jewellery design. She started her path with crafts in Metal department of School of Crafts and Design, in Lempäälä, Finland gaining vocational qualification in Crafts and Design in 2001. Other courses she has passed are dealing with jewellery art and 3D modelling. Rajakallio has taking part of the exhibitions worldwide since 2003 (like European Prize for Applied Arts, the Anciens Abattoirs, Mons, Belgium in 2015, BKV-Preis 2013, finalists, Galerie für Angewandte Kunst, München, Germany, Juste un peu de terre sur la peau touring exhibition, in 2010-2013). She has given lectures in Finland and France, taught part-time in Saimaa University of Applied Sciences, Fine Arts and Design, Jewellery Art, Imatra, Finland, (2015-2009) and worked part-timely as a project coordinator for an international jewellery event KORU5 in Finland (2014-2015). Rajakallio just finished her second solo exhibition Risteys in Kouta Gallery, in Kouvola, Finland. When not working in her studio you can find her in the garden or yoga shala. 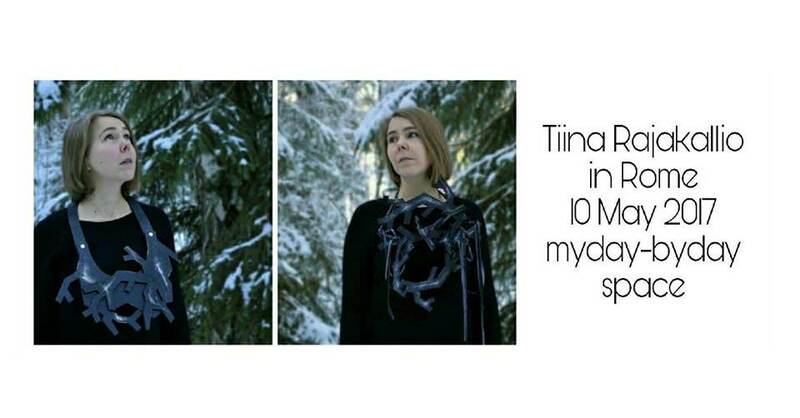 She currently lives in Lappeenranta, Finland.